I love weddings… I think it’s one of the most special life events a person can experience. A wedding is a ceremony where two people who deeply love one another are united in marriage. In every culture there are different wedding traditions but the essence will always be that it is a celebration of love – of which doesn't only end with the couple getting married, but also the people that surround them and who made them who they are today. I still believe, though, that everyone should have a more beautiful marriage than a beautiful wedding. I mean what does it matter if you had an extravagant wedding but the marriage is always on the rocks? But of course, I still understand if as much as possible they want it to be a memorable day for everyone who will stand witness to when they profess to the world their love for each other. Preparing for a wedding that only happens in one day is not at all easy; there are so many elements of a wedding that needs to be polished and set before the big day. Some people like a simple wedding, some want something grand. 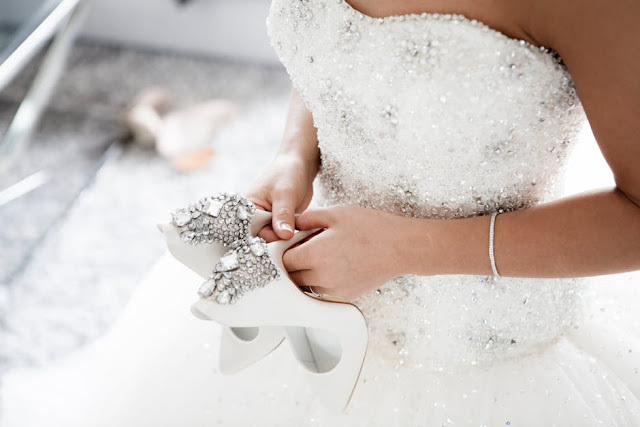 One element of a wedding that takes a lot of time and effort to decide upon and finish is the bride’s wedding dress. When I was younger, I was such a fan of Disney Princesses (I still am!) that I always day dream of wearing something that will resemble princess wedding dresses. 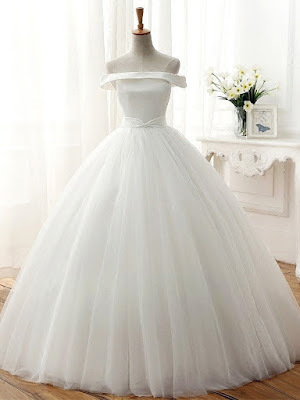 I can tell you stories about how I envisioned myself wearing the exact style of the wedding gown that I wanted when I was younger, exactly like a wedding gown fit for a princess: with a huge skirt bottom made of layers and layers of lace or tulle, a top bodice adorned with pearls and crystals and in a pristine white color. But as I grew older, my preferences have changed and also my body type I believe would not look great in that type of wedding dress. I prefer something simpler. After all, simplicity is always sleek. That is just my opinion but if you're a bride, you can do whatever the heck you want for your wedding. 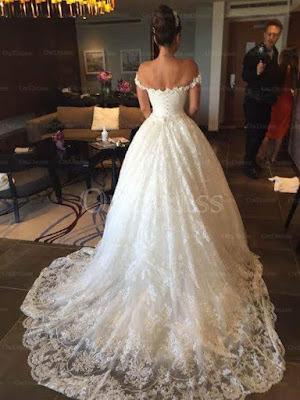 If you anyone of you had the same dream wedding dress in that silhouette and you still want it for your wedding, I suggest you go for it and fulfill your childhood dreams; besides you’re supposed to get married once in your life then why not make your dream wedding come true? 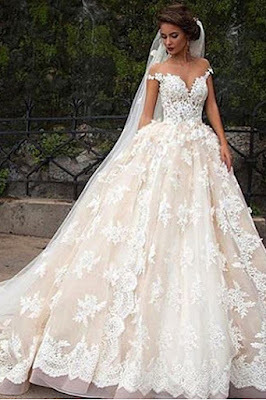 Find more of these gowns here: cheap wedding dresses uk.